MC10 for carrying case for Zebra (Motorola / Symbol) MC40 / MC40-HC devices. 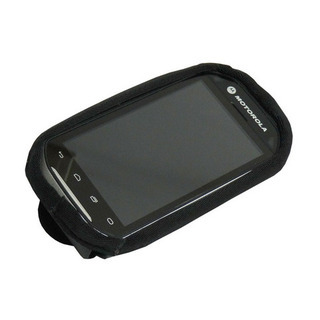 The System Wear MC10 case for Zebra (Motorola / Symbol) MC40 / MC40-HC has been designed using our custom made high-density foam material. It is ideal for environments including Healthcare, Warehousing, Manufacturing and Retail. Foam has substantial resilience and the thickness ensures excellent drop protection.Molded one-piece design eliminates most of the binding and sewing used in traditional case design. This means less wear and tear and reduced collection of bacteria, particularly useful in healthcare environments.